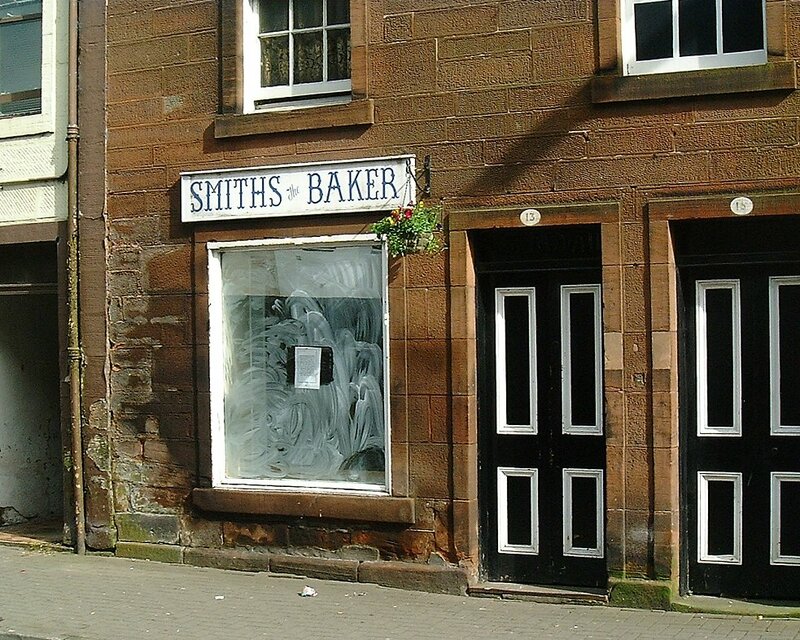 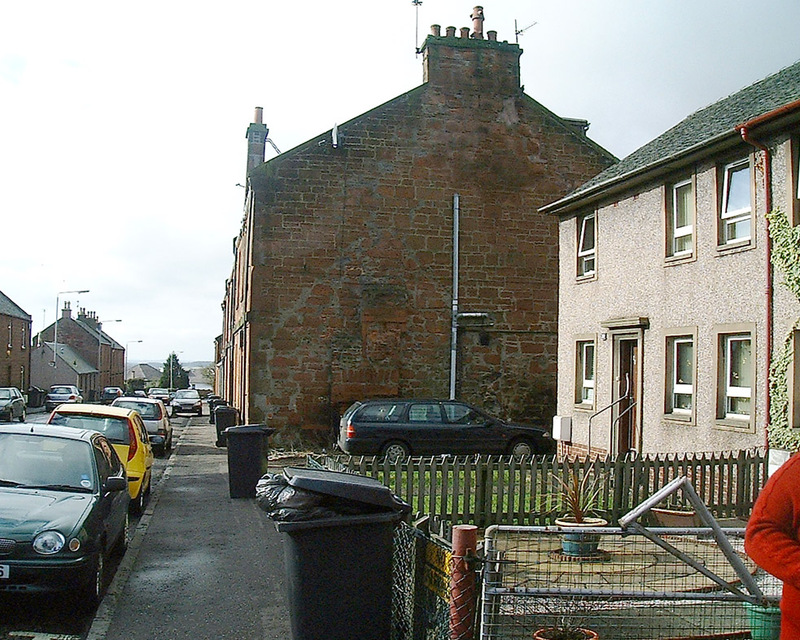 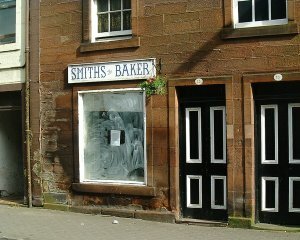 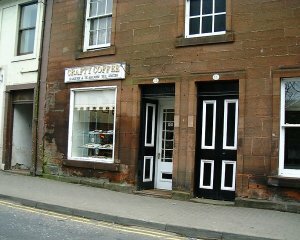 In Mauchline there are a number of buildings standing where evidence of the past is very evident. 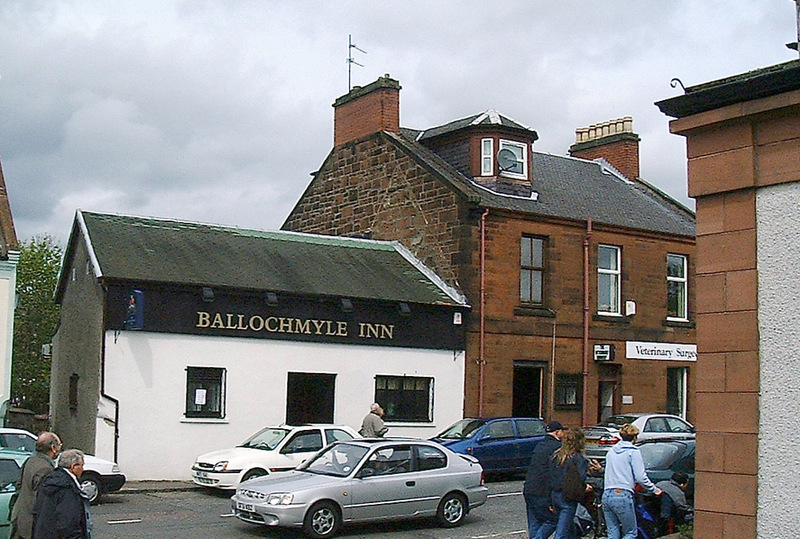 No more so perhaps than The Coogate, Loudoun Street, and The Ballochmyle Inn. 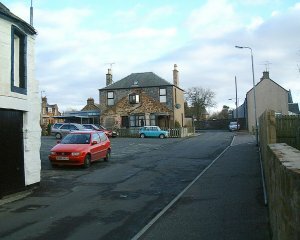 Above left is one of a few houses left in the Coogate, with an obvious building having been nearer the cameraman. 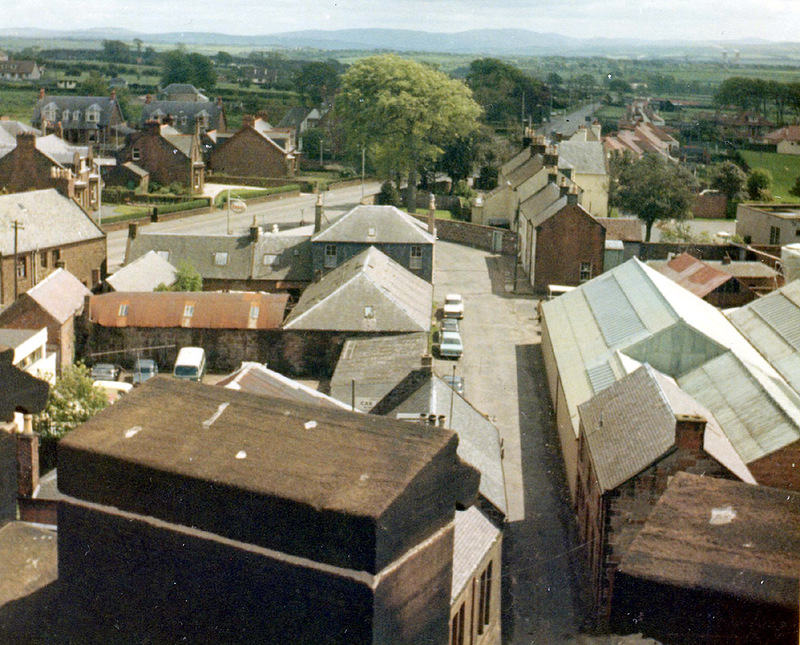 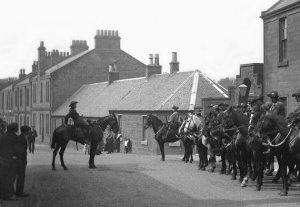 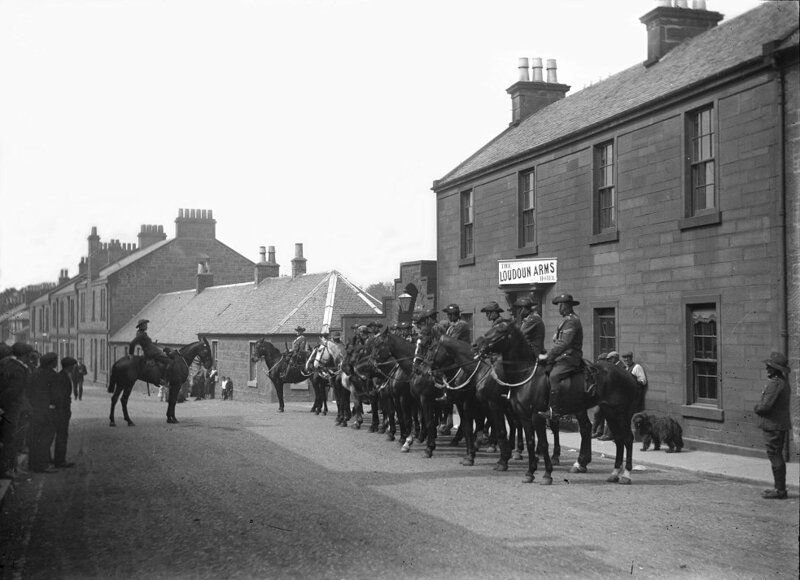 The right hand image from the early 60s shows the collection of buildings which were once in Mauchline Club car park. Left: The Ballochmyle Inn, as it is today, 2004, with the evidence of a taller steeper roofed building on the gable of the larger block. 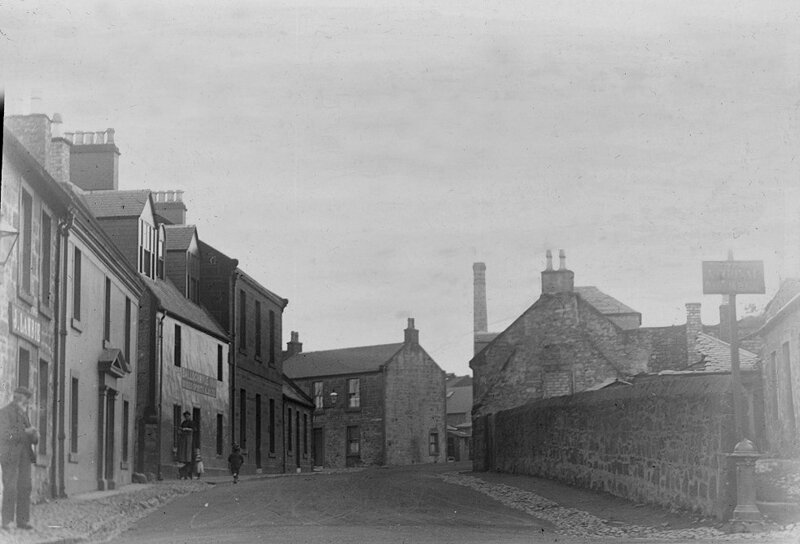 Right: The Inn as it was, before fire gutted the building possibly in the late 50s, exact date not quite known.